I recently got a new microscope (Zeiss Axiostar plus) which I modified with a powerful LED illumination (based on a combination of the great Cree XM-L2 power LED, a stabilized power source and a NE555-based PWM brightness control). The original halogen lamp system used much more power (20 W vs. 3 W), generated a considerable amount of heat and needed a blue filter to deliver a white background for microphotography. The following photographs were shot with an eyepiece-mounted EOS 450D DSL-R and the open source photography workflow software darktable in tethering mode. To increase the sharpness and get a deeper depth-of-field (= DOF) I used the open source software MacroFusion to combine stacks of several good single shots with different focus distances. 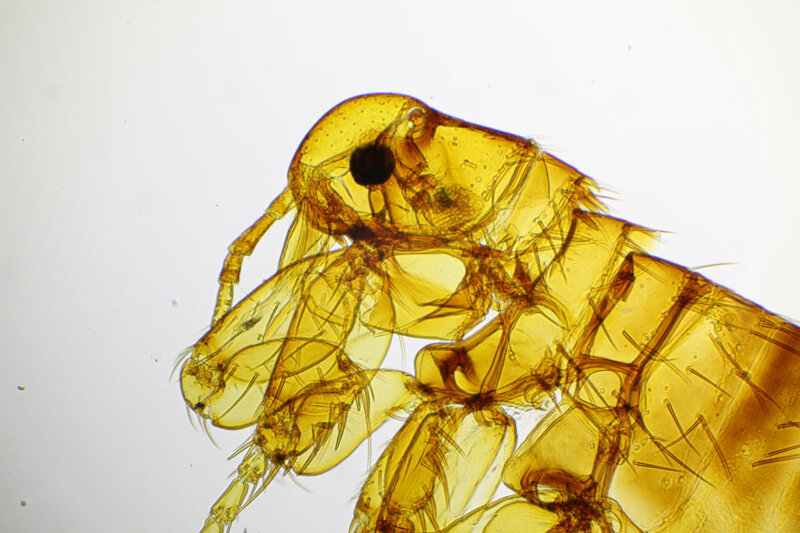 I have collected and prepared a number of flea species over the years - yes indeed - the small jumping / blood-sucking insects, scientifically also known as Siphonaptera. 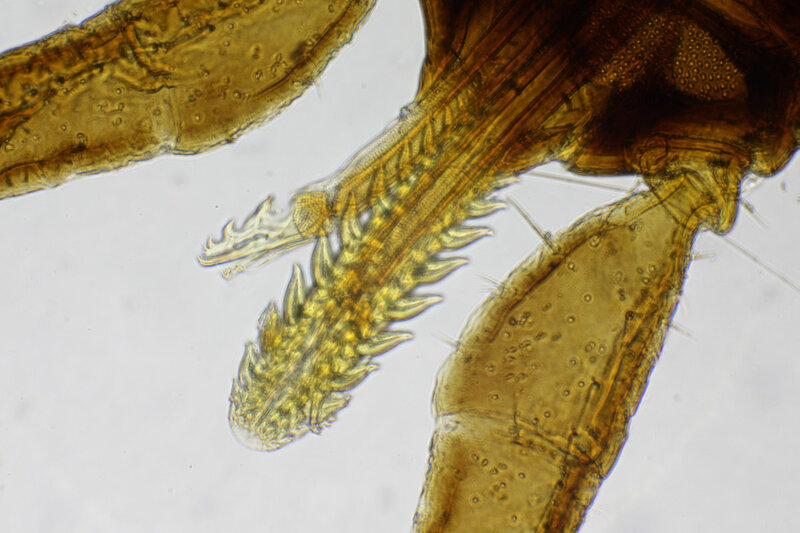 Here some photographs to show you the capabilities of the new microscope setup and the great biodiversity and - imho - beauty of fleas. 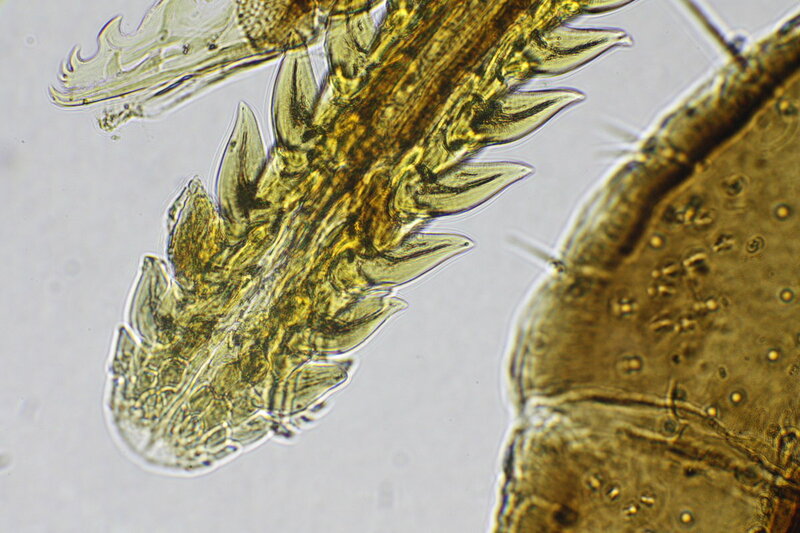 A male cat flea Ctenocephalides felis (100x). 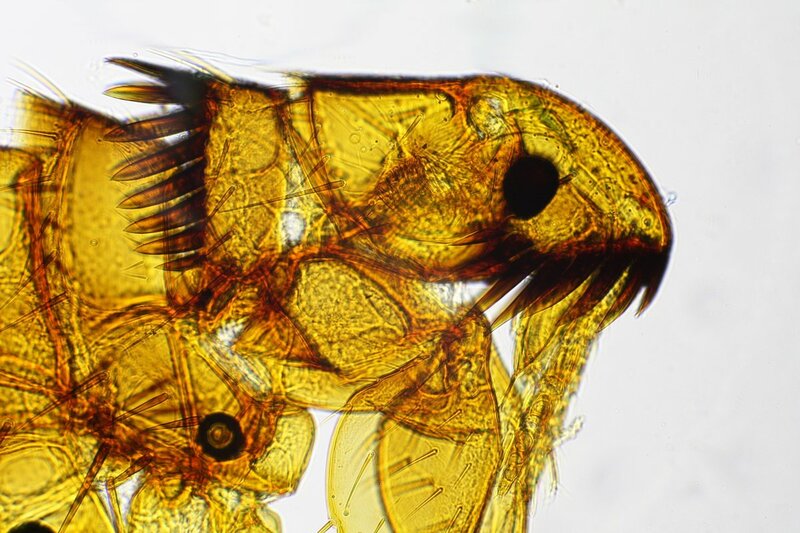 A closer look on the "face" of the same male cat flea Ctenocephalides felis (200x). The ctenidia - the dark brown comb-like structures on the head and pronotum are *quite* species-specific and allow for a exact species determination - of course in combination with further characteristic body structures. 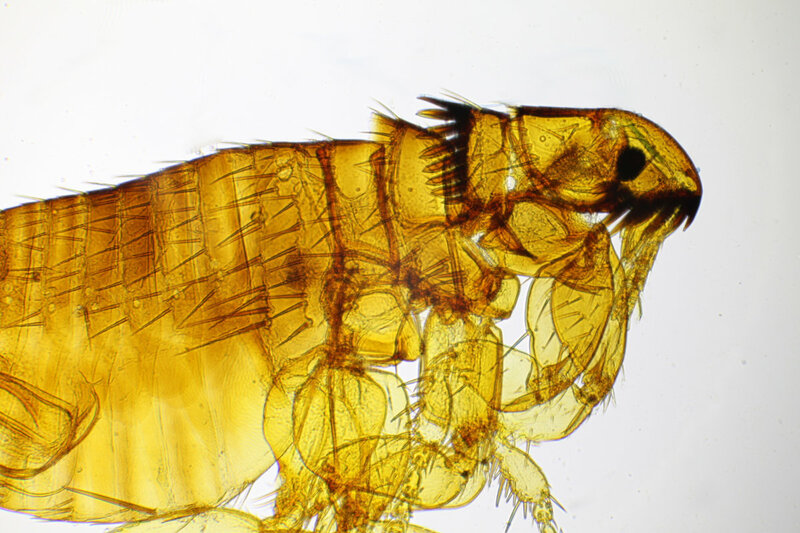 The last flea photograph shows a male hedgehog flea Archaeopsylla erinacei (200x). 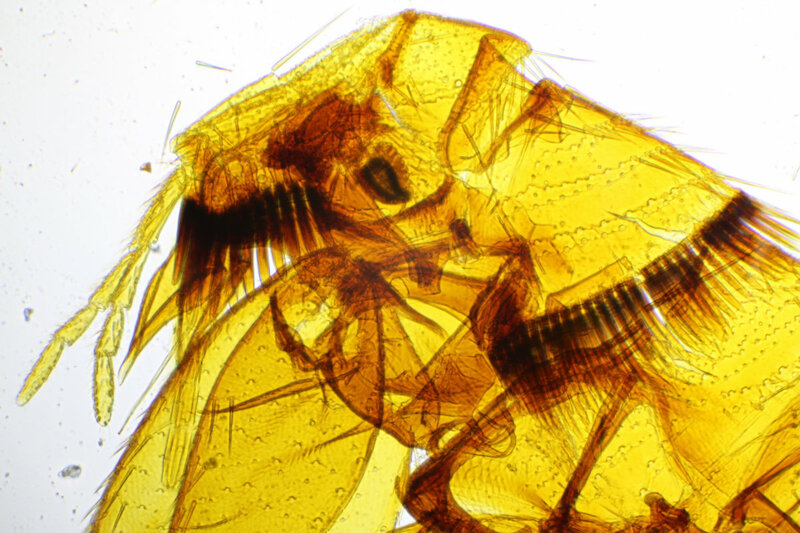 To finish, three magnifications of the head and mouthparts of a female tick Ixodes sp.. P.S. 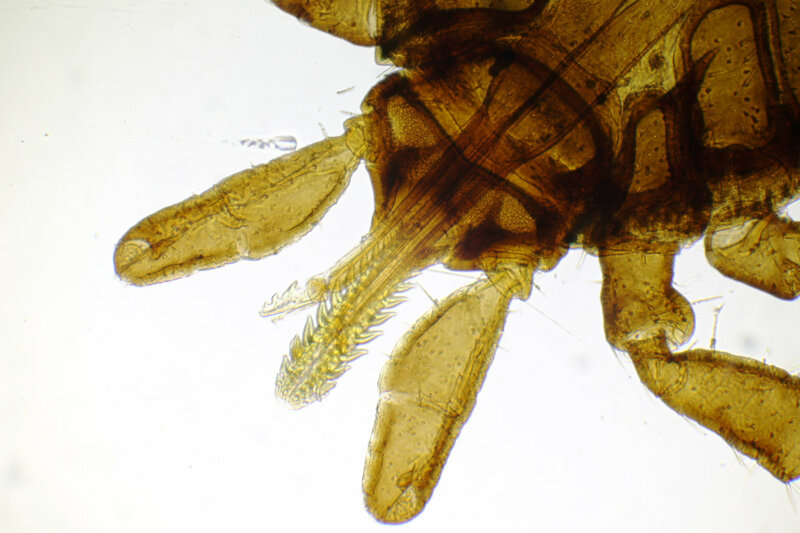 : If you can provide flea specimens (not prepared, I do this myself) - I´m still looking for the human flea Pulex irritans for example - do not hesitate to contact me (details under "About").